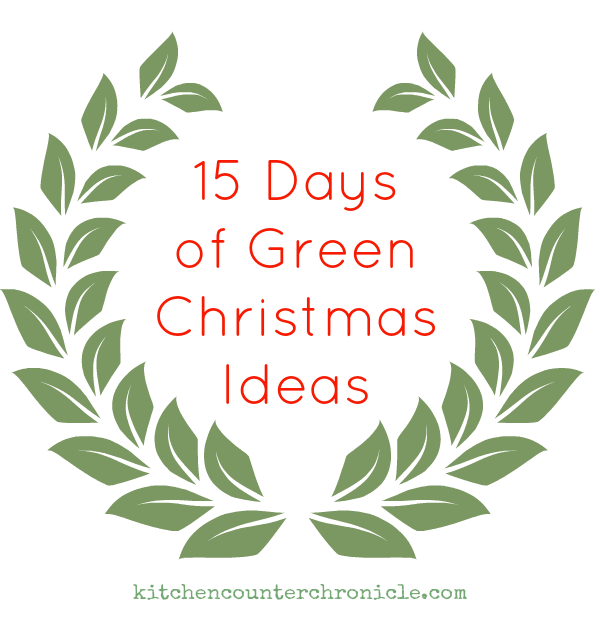 Here we go with a second edition of our 15 Days of Green Christmas. 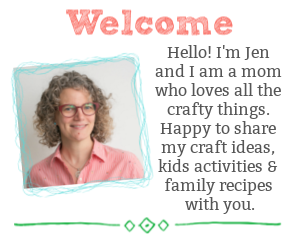 This December I will be sharing simple ways to connect with family, craft and make lovely gifts, ways to giveback to your community and simple ways to celebrate the holidays in eco-friendly ways. 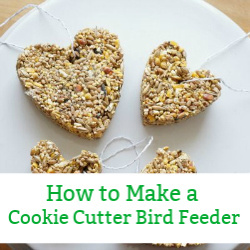 When I dream of a green Christmas, or and eco friendly Christmas, I dream of embracing nature, spending time with my family, slowing down and having fun together. 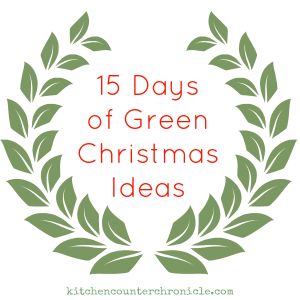 Starting on December 4th, I hope to bring you inspiring ideas…like the ideas we shared during last years’ 15 Days of Green Christmas. 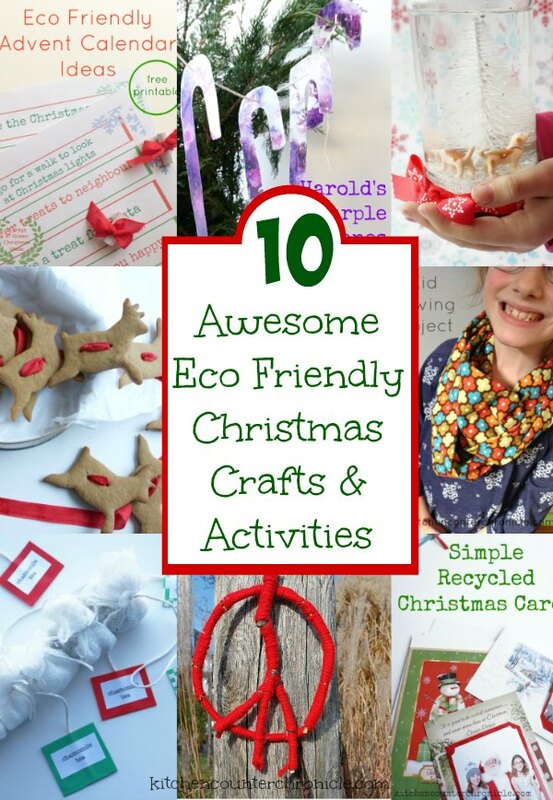 Before we jump into this 2nd edition, I thought we should take a moment to look back at my favourite top 10 Awesome Eco Friendly Crafts and Activities from last holiday season. 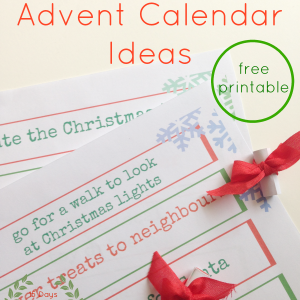 Eco-Friendly Advent Calendar – Spend all month long embracing eco-friendly activities, crafts and outings with our free printable eco-friendly advent calendar. 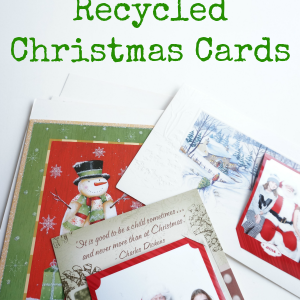 Simple Recycled Christmas Cards – Send friends and family simple recycled Christmas cards…include a favourite family photo too! 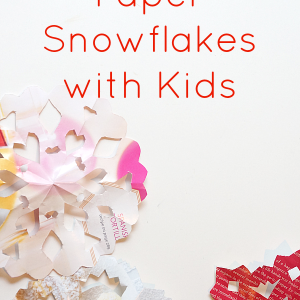 How to Make Paper Snowflakes – Transform old magazines into beautiful paper snowflakes with this step-by-step tutorial. 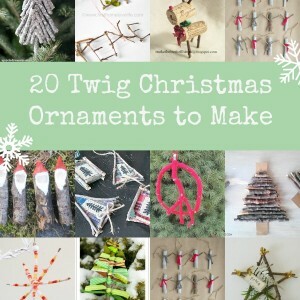 20 Twig Ornaments to Make – Gather up a pile of twigs on your next nature walk and create a beautiful twig ornament. 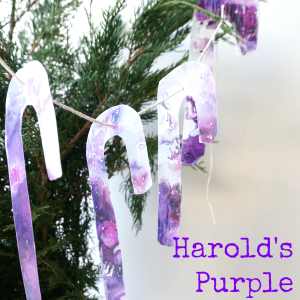 Harold the Purple Crayon’s Candy Canes – Take inspiration from Harold and his purple crayons to recycle your used purple crayons into festive melted purple crayon candy cane ornaments. 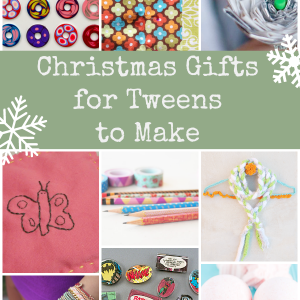 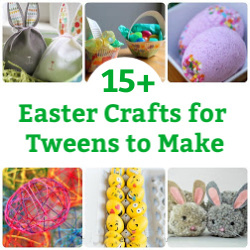 Christmas Gifts for Older Kids to Make – Skip the busy malls and spend some time in the craft room creating one of a kind gifts for everyone on your holiday list…best part, the kids can make these. 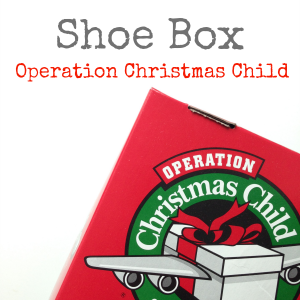 More Than A ShoeBox – A hands on way to give to people in need this holiday season is to fill a shoebox for Operation Christmas Child…learn more about this fabulous program. 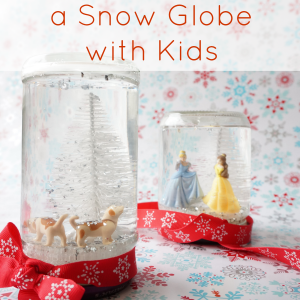 DIY Snow Globes for Kids – Give old toys and old jars a new life as a glittering snow globe…simple enough for kids to help make. 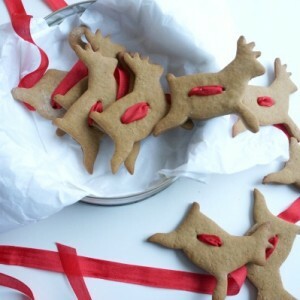 Santa’s Sleigh Gingerbread Cookie Garland – Bake a gingerbread garland with the kids – a super fun gift for teachers or for the holiday mantle. 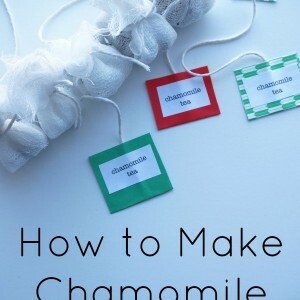 Homemade Chamomile Tea Bags – Share a gift from your garden, with homemade chamomile tea bags.